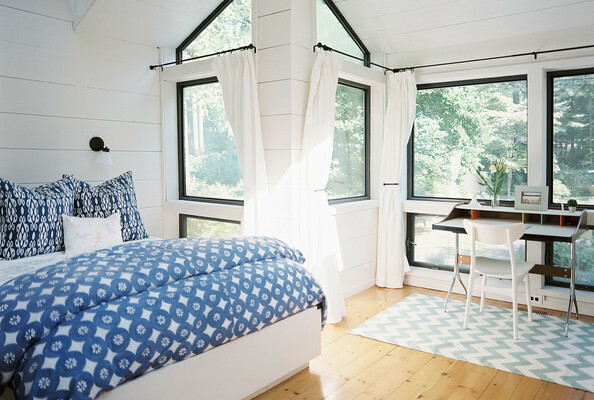 This is such a fresh summer cottage in the Hamptons, very light, bright and relaxed. I love the wood plank walls and the rough hewn beams. Great lighting throughout and big windows keep the indoors bright and allow for a wonderful view of the outdoors. Furnishings are modern and simple mixed with cheery textiles and pops of bright colours....and what about that gorgeous pool! Of course you need that at your summer place! I am working on a video on how to style your coffee table and dressers and I think this one in the living room is well done! What do you think?